Image source: the Sandra Plummer Collection of the Fort Worth Texas Digital Library. Colorized courtesy of Algorithmia. This writer first came across the name “Columnas Volantes” while reading up on a 1900 murder case in the former town of Batangas. Translated directly from Spanish, the name means “flying columns.” End notes to a 2002 book1, edited by Hazel M. McFerson, gave a first clue as to what the name signified. “Columnas Volantes,” it was written, “literally means ‘Flying Columns,’ a reference to underground newspapers and leaflets that were hard to catch/confiscate.” These newspapers and leaflets were apparently published and distributed early in the American colonial era when there was still resistance to United States rule. 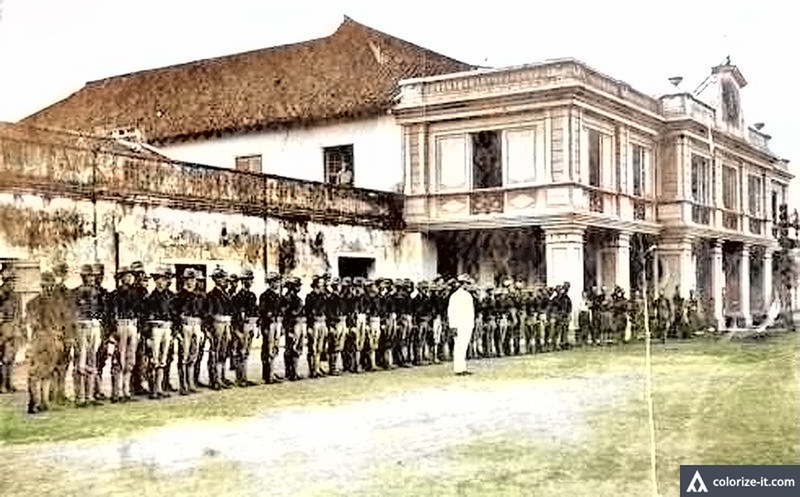 In the town of Lipa in 1899, however, there was being published during the Philippine American War a bilingual newspaper called “Columnas Volantes de la Federacion Malaya” (Flying Columns of the Malayan Federation). The newspaper was edited by one Gregorio Solis Aguilera Jr., an original member of a mysterious secret society founded in Paris in 1889 by the national hero Dr. Jose Rizal2. The mysterious society’s name was Rd. L. M., the meaning of which is yet to be deciphered beyond doubt by historians. 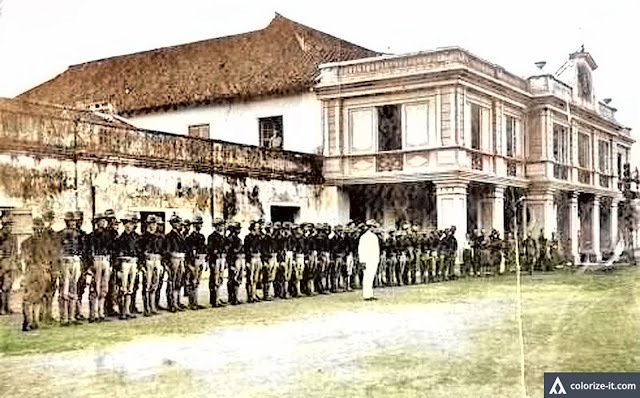 However, Rizal’s nephew Dr. Leoncio Lopez-Rizal in an article written in 19603 conjectured that the initials stood for “Redencion de los Malayos” (Redemption of the Malays) and that the group, therefore, was formed to further Rizal’s vision of founding a Filipino colony in Borneo where they could live with more freedom than in the Philippines4. The first of these was cases was the murder and decapitation by de Castro of Private Peter Cooper of the United States Volunteer. Next was the shooting by the same man with a rifle of one Mariano Rojas, a native of the town of Batangas. The last was the stabbing and killing with a dagger of one Chinese named Leung Sui in the market of Batangas. 1 “Mixed Blessing: The Impact of the American Colonial Experience on Politics and Society in the Philippines,” edited by Hazel M. McFerson, published 2002 in the United States of America. 2 “Revolutionary Spirit, Jose Rizal in Southeast Asia,” by John Nery, published 2011 in Singapore. 3 “Rizal, Rd. L.M. and federalism,” by Noel Villaroman, published 2016, online at the Philippine Star. 6 “The Encyclopedia of the Spanish-American and Philippine-American Wars,” Spencer C. Tucker, Editor, published 2009 in the United States. 7 “Charges of Cruelty Etc. to the Natives of the Philippines,” by the United States Secretary of War, published 1902.